You are here: Home / Blog / Can Network Startups Stay Small and Survive ? A client recently asked me about startups in the networking space and how to pick the one whose products be around for five years. After some research and reflection, I am beginning to realise that size doesn’t matter like it used to. While big companies selling hardware have big costs, smal l companies selling software can easily survive and thrive in niche markets. Size matters when designing and manufacturing hardware. Size matters when building a global warehousing system for spare parts and a network of third party resources. 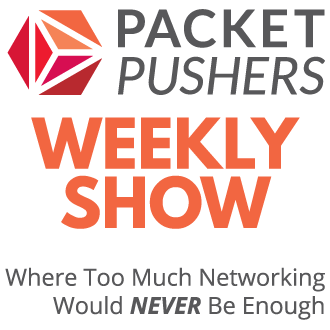 Size matters you are using vast networks of resellers and distributors. All of which need head count to sustain. Add value to the business but not to the product. Open source enables startups to compete. And new software methods. Whitebox switches and x86 appliances avoid large capital spending. Lowers business costs. You need big profit margins to make custom hardware investment/gamble pay off against the risk. 1. Design & Manufacture – Its take vast sums of money to design and test a silicon chip that does networking. It takes more to manufacture the chip then produce a physical device that customers can use. Companies with large financial resources can make that investment/gamble. 2. Global Warehousing and Distribution – Once you have dropped many millions on a product, you have to produce enough product to fill warehouses and distribution centres around the world. This requires even more up front money to make this happen. 3. Bump Starting the Sales Engine Because you have invested/bet so much money on a hardware device, warehouse and distribution, you will double down your investment with sales teams, training program, resellers engagement. 4. Global Support Services Once the product is in the field, customers will want post-sales support and services. This means a global networks of arms & legs with suitable training to perform onsite work. Although most vendors outsource this to a third party such as Fujitsu, this still requires large payments and other costs. These are some of the factors that require hardware companies to have huge capital requirements and long investment schedules. Its also why change is slow in hardware. Networking startups who are building software-only products have fractional costs compared to hardware companies. An office, employees, laptops and a bunch of servers. The servers may be in a public cloud for a few years to avoid spending big money. Software support is low-cost. Internet and phone can be centralised, site visits are sometimes needed but rare. There is no stock or distribution costs. The day-to-day running cost is a tiny fraction of the big hardware companies. Both Whitebox Ethernet switches and x86 servers in small form factors enable low cost appliances that run the software. Whitebox costs a fraction of branded products because the cost of manufacture is a fraction of conventional manufacture. For switch manufacturers in China, the opportunity cost to perform a production run of Ethernet is very low and could even be filling in idle production capacity. 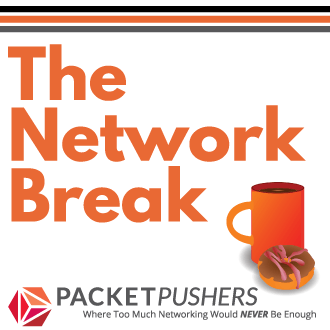 Whitebox is high profit business for those manufacturers because it cuts out the middle-man (the brand-name networking vendor). Selling direct has been and continues to be a good business model for Chinese manufacturers. Whitebox is cheap enough to stock your own spare parts. This fits a lot of business models though not all. Whitebox hardware is changing the network market is the way that public cloud changed data centre. Its cheaper to outsource production to a manufacturer that can produce hardware at massive scale. This are also market commoditisation angle here too. Startups can be plenty profitable by selling software only because costs are low and predictable. Software-only startups will be (comparatively) small because they don’t need large numbers of staff to manage non-core activities like warehousing & distribution. Just license management and software renewals. And developing more software. A lot of software comes from open-source projects. Web interfaces, analytics engines, operating systems, boot loaders exist so that development focusses on the product. The impact of open source on startups is profound. Software toolchains are nearly free from cost today. Widespread uses of common tools like git, Maven, Jenkins, etc cost nothing (while legacy products platforms have software platforms costing tens of millions per year in licensing costs). Whitebox hardware means lower business costs by avoiding production and warehousing costs. 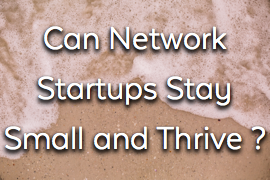 Networking startups can occupy small and unique niches in the market and be successful, profitable and viable. This has not been possible for the last 20+ years because all networking was hardware with large upfront investments and further costs for product sales & support. No, it doesn’t matter if it’s hardware or software these companies will have to grow in order to protect themselves, there are no niche areas, there are too many of them and the market is not big enough to accomodate them. Greg, I think you are right, there are many pros that make it easier to get into the ‘game’. Winning is a lot tougher though since other costs like salaries and marketing make a sizable portion of the cost. Custom hardware is one advantage but marketing is probably the area where the large companies have the most leverage.